The dream of a new parish in the Parkersburg area became closer to a reality in 1910 when Miss Sara Tracy left a $50,000 bequest to the Most Reverend Patrick Donahue, D.D., for the construction of a church in the Wheeling Diocese as a memorial to her brother, Edward Tracy. With a growing Catholic population in the Parkersburg area, Bishop Donahue recognized the need for a second Catholic parish. St. Francis Xavier Church has been serving the religious needs of the Catholic families in this area for over seventy years. To that end, Bishop Donahue sent Rev. John W. Werniger to Parkersburg to assess the possibilities in the area. Much enthusiasm greeted Rev. Werniger’s arrival in Parkersburg to lay the groundwork for the proposed parish, a need the people in North Parkersburg had felt for some time. The deaths of both Rev. Werniger and Bishop Donahue stalled plans for the formation of a new parish, but when, in 1923, the succeeding Bishop, the Most Reverend John J. Swint, D.D., quickly appointed Father Patrick Browne as pastor, the dream of a new parish was finally realized. Father Browne led the parish in the planning and implementation of a four-stage construction project. A small frame structure, a school, a permanent rectory, and finally a church were to be constructed on the Dudley Avenue property purchased from the molly Dudley Bacon Estate. The first Masses were celebrated in the temporary rectory until the completion of the small structure, which then served as a temporary chapel. The first Mass was celebrated in the chapel on Palm Sunday, 1923. The school was completed next and opened for its first students in the fall of the same year. Originally staffed by two Sisters of St. Joseph and two lay teachers and then by Sisters of the Poor Child Jesus, the school began a 48-year tradition of education, closing in 1971. Construction continued the following year with the rectory being completed in the spring of 1924. The generous response of the first one hundred families to Father Browne’s request for additional funds to change the plans for the exterior from brick to Indiana limestone enabled the parish to erect the stone church in which the people of St. Margaret Mary Parish worship to this day. The church was dedicated on Sunday morning, December 21, 1924, by the Most Reverend John J. Swint, D.D., Bishop of the Diocese of Wheeling. The parish chose the name ‘St. Margaret Mary’ in honor of Margaret Mary Alacoque, a French nun of the Order of the Visitation, who was canonized in 1920. The Sisters of the Visitation at DeSales Heights Monastery and Academy were so gratified they sent word to all Visitation convents in the United States and abroad. The convents responded with gifts of altar items, vestments, and liturgical articles to celebrate the first parish in the Wheeling Diocese to be named after a saint of the Order of the Visitation. The stone statue of St. Margaret Mary in the niche above the entrance was a gift from the Sisters at DeSales Heights. Since 1923, the parish has been served faithfully by many priests, including seven pastors. In 1933, the Rev. Francis P. Scheuermann succeeded Father Browne and remained at St. Margaret Mary until his retirement in 1966. The Rev. Leo R. Fohl served the parish for four years until his transfer in 1972. Rev. Joseph O’Reilly arrived in October, 1972 to become the fourth pastor of St. Margaret Mary. During Father O’Reilly’s pastorate, the parish grew in numbers due to the large influx of workers for local industries. When Father O’Reilly left in 1979, Father John O’Connell was appointed to the position. The Very Rev. Edward M. Bell arrived September 3, 1980 and served until his retirement in June 2004. Rev. Msgr. Joseph L. Peterson arrived in June 2004, and was transferred in June 2016. Our present Pastor, Rev. Stephen Vallelonga has served with us since his arrival in June 2016. Associate Pastors who served the parish are Fathers Stephen Wolan, John McDonnell, Carl Bauer, Samuel Sacus, Patsy Iaquinta, Russell Grogg, Robert Pecka, Thomas Grennan, James Offenberger, Stephen Vallelonga, James Chetock, Neil Buchlein, Benedict Kapa, John Rice, Bekeh Ukelina Utietiang, Douglas Ondeck, Arok Sundar, and Andrew Switzer. The Parish is also grateful for the contributions of the many deacons, religious, and lay ministers who have served the people of St. Margaret Mary. Deacons: Rev. Mr. Russell Grant, Rev. Mr. Harry Higgs, Rev. 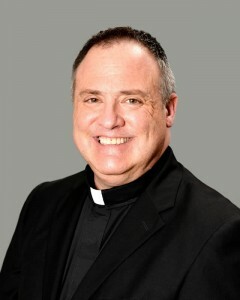 Mr. Gerry Goetemann, Rev. Mr. John Showalter, and currently Rev. Mr. Jerry Showalter, Rev. Mr. John Maher, and Rev. Mr. Steve Wharton. Pastoral Associates: Sr. Teresita Nolden, MSC, Sr. Colleen Birmingham, MSC, Sr. Theresa Molchanow, MSC, Sr. Carolyn Ackerman, MSC, Sr. Linda Ann Greenberg, IHM, Sr. Lillian Sleight, Sr. Gertrude Lacki, OSF and currently Deacon John Maher. Directors of Religious Education: Sr. Dennis O’Leary, SSJ, Sr. Rose Ann Krantz, CDP, Sr. Mary Clancy, RSM, Mrs. Catherine Wharton, Alysia Pasternak-Post, and Sr. Placida Shumba, SJI. Music Directors: Gordon Miller, Sr. Judith Minear, SSJ, Sr. Eileen O’Connor, SSJ, and currently Mr. J. D. Benson. During the past eighty years, the parish of St. Margaret Mary has experienced tremendous growth and witnessed many changes. Throughout these changes, the people of St. Margaret Mary Parish have continued to celebrate and rise to the demands of a growing congregation, one that is now almost ten times larger than it was in 1923. The parish has seen their first church societies grow in number from their inception under Father Browne to become important ministries within the parish. Major renovations and additions have been required and graciously supported by the congregation. On December 7, 1980, a fire caused an estimated $75,000 damage to parts of the church. Liturgies were again celebrated in what would become a renovated Parish Hall while repairs were made to the church. The most extensive renovations began in 1982 soon after Father Bell’s arrival. Like Father Browne before him, Father Bell elected to begin his plan of renewal with the small frame structure that has served the parish so well over the last eighty years. The renovation included stripping the interior, adding 900 square feet of space, bricking the exterior, and adding a large window where the entrance had once been. Since its rededication in October, 1982 the Parish Hall has hosted parish socials, Boy and Girl Scout troops, youth activities, school plays, a nursery, and wedding receptions. In 1992 the structure once again served as a temporary chapel while major renovations began on the church. The construction of an addition and renovation of the church was two years in the planning stage and required over a year to complete. The architect, Al Vargo of Marietta, Ohio, sought in his design to recapture the church’s original Romanesque details. The barrel-vaulted ceiling, tiled aisles, two-tiered windows, and arches and columns all repeat architectural elements planned by the original architect, Edward Weber of Pittsburgh. The new space successfully integrated a new design with many of the fine details of the original area, while increasing seating by half and doubling interior space. The mosaic “Christ the Vine and the Branches,” designed by parishioner, Marcella Blomberg, in the late 1960’s and finished by fellow parishioners, still graces the Church’s interior as it has for many years. Mrs. Blomberg also created the sculpted art pieces that enhance the worship area. There was a special dedication for the completed addition and renovation on May 23, 1993. Stage three of the parish’s construction plan culminated in 2001 with the completion of the Parish Office Building on the corner of 25th Street and Dudley Avenue. The building houses six offices for the Parish Staff, a conference room, a reception area, and a kitchen. The second floor provides a two-bedroom apartment for use by the staff. In addition, there is a large storage area and parking facilities in the rear. The new structure allows the staff to function in a more efficient, cohesive, and coordinated manner than the close, cramped quarters of the former offices in the Rectory. In July, 2008 the parish purchased the YWCA property directly across Dudley Avenue from the church. The property occupies nearly 7 acres of land and has 43,000 sq.ft. of building space including a gym, several meeting rooms, many classrooms and two large kitchens. It houses our Parish School of Religion, a Parish Library and Media Resource Center, Adult Education programs and hosts many special parish and community events. Although St. Margaret Mary Church has experienced many changes during its history, we continue to worship in the original church, the original frame building is now our Parish Hall and provides a gathering space for Parish functions. May the parish continue to celebrate and give thanks for our history for many years to come.